Blaming state regulators for allegedly violating a court order, BART lawyers want a regulatory judge’s blessing to seek sanctions against the safety enforcement arm of the Public Utilities Commission that it believes provided NBC Bay Area with the in-cab video of the 2013 accident that led to two worker deaths. Absent that, BART is calling for a hearing to learn who disclosed the sealed video that state regulators argue is evidence of safety violations related to the Oct. 19, 2013 deaths of two track workers during the BART strike. BART Engineer Christopher Sheppard and consultant Laurence Daniels were hit and killed by a train as they were checking on a dip in the rails north of Walnut Creek station. 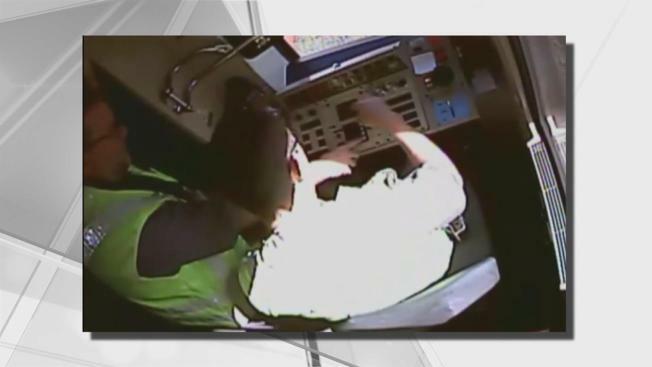 Last month, NBC Bay Area broadcast excerpts of the in-cab video, which shows the rookie operator was not able to sound the horn to alert the victims after he saw them on the tracks ahead. He was traveling at 68 miles per hour. His trainer, Paul Liston, was not by his side, as required by BART rules. Instead, he was in the passenger compartment, chatting with colleagues about the upcoming World Series. Records show he was also texting and talking on his cell phone for much of the time. The video shows Liston at one point chiding the inexperienced operator about needing so much help. “How many more times are you going to make me get up….----damn it? State regulators argue the video is evidence of safety violations that merit $600,000 in fines. BART counters that any violations reflected in the video were isolated incidents and not part of a larger problem. They also challenge the legal authority of the safety arm of the Public Utilities Commission to levy fines for violations of BART rules. In its own report on the incident, BART says the accident was “unavoidable” because the workers did not give themselves enough time to escape, as required the rules had in place at the time. BART has since abandoned the rules that make workers themselves largely responsible for safety and now requires that trains automatically slow or stop when workers are present on the tracks. BART last week lodged papers with a regulatory judge asking for either sanctions related to the video’s release or a hearing on how NBC Bay Area obtained the video, which has been under seal since February. NBC Bay Area has not disclosed the source of the video, but BART names the safety enforcement arm as responsible, saying it had ruled out any other potential source.